Ultimate comfort for when you need to stand. This cushion slice rug will look great in your kitchen. 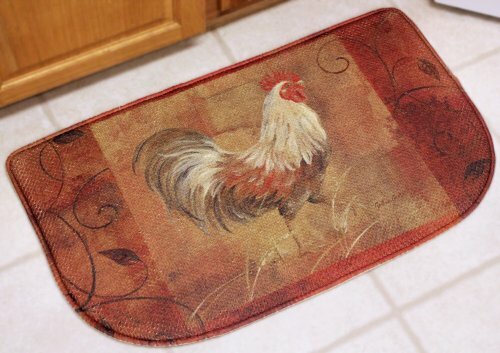 Use a Rooster Memory Foam Kitchen Rug in front of the kitchen sink or in front of your counters. Perfect for bathrooms, laundry rooms and workshops too. A great rug for your county decor.